Fantastic effort from Team GB who take 5th place. Congratulations to Canada who take home the Gold! Roma Sport is showcasing a range of rugby and active wheelchairs and their unique patented measuring system- Contour Body Mapping at the GREAT Global Investment Conference (GIC) in Lancaster House, London. The chancellor, George Osborne opened the event which showcases the best of Britain during one of the worlds largest sporting events and acts as HM Governments flagship business event during the Rugby World Cup 2015. Aaron Phipps GB wheelchair rugby paralympian and John Pitt Roma director are present to meet visitors and dignitaries including the Prime Minister David Cameron at this prestigious event. 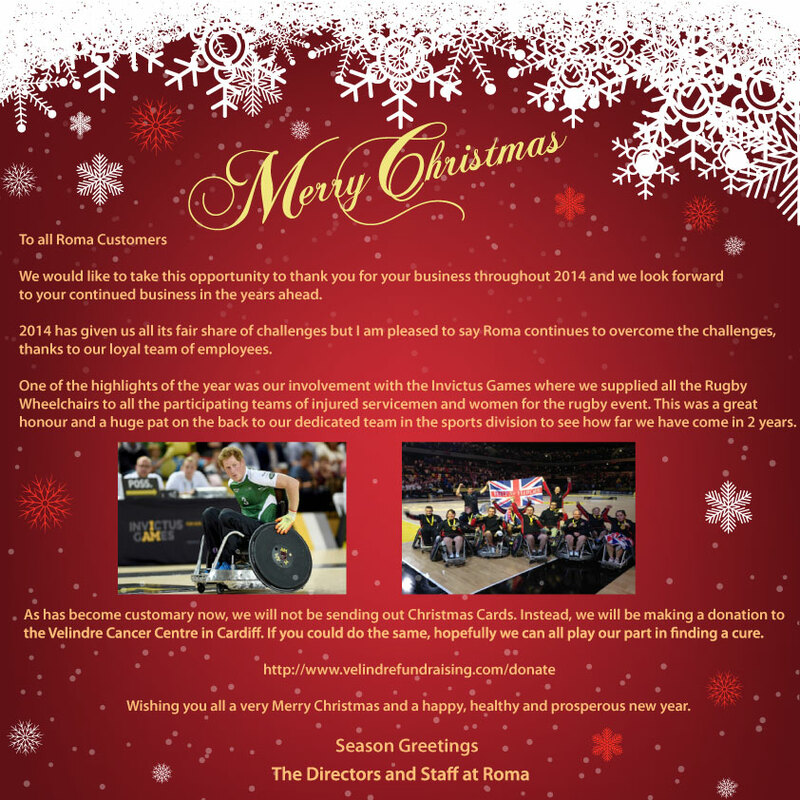 Roma Sport has been manufacturing high end British made sports and active wheelchairs for the past three years. The company was established in the 1970s and is a British privately owned concern located in Bridgend, South Wales. Over time, it has established strong links with Great Britain Wheelchair Rugby and the club league structure across the country. A unique patented revolutionary system has been developed that enables people to sit in a purpose built piece of equipment – Contour Body Mapping -that is adjusted to their needs and registers their dimensions. CAD design is also used which compliments the build programme and offers an opportunity to view the wheelchair prior to it being built.